Ruby Barnhill plays a young girl who goes on an adventure with the Big Friendly Giant. It is probably a cliché at this point to note that Steven Spielberg has become a victim of his own success, but... well, there it is. We know that he's capable of masterpieces, whether he's venturing into genre fare or exploring the Big Events of history. We've seen what it looks like when he's applying his incomparable skills behind the camera to fascinating ideas, or profound emotion. And anything less is held against that standard. That's particularly true when he's taking on kid-oriented fare, which feels almost tragic in a world where The Angry Birds Movie is somehow given a pass as anything more than what a bird leaves on your windshield. His The Adventures of Tintin was brushed off as a busy diversion — and I raise my hand as guilty — even as it crafted breathtaking action set pieces filled with more pure cinema than you'll find in 90 percent of family-friendly movies. The BFG may never be counted among Spielberg's greatest triumphs, but it shouldn't have to be, not when its own distinctive pleasures are just sitting there in front of you. Working from a script by the late Melissa Mathison (E.T. 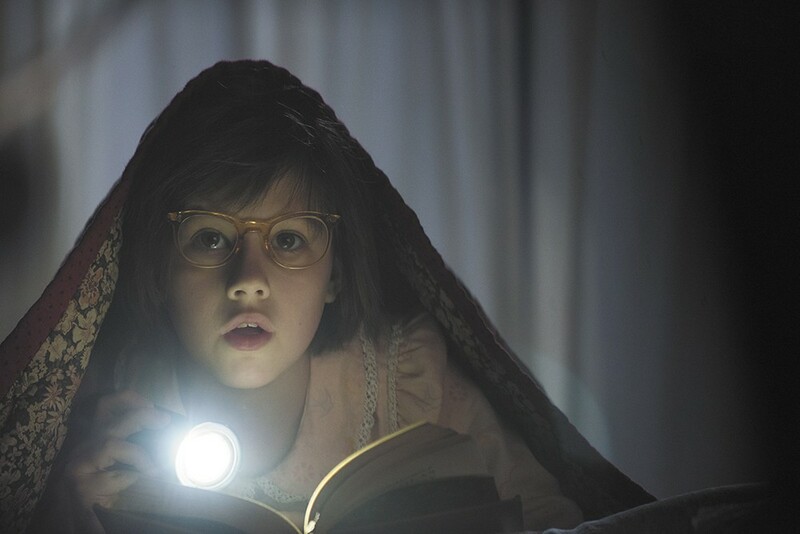 ), Spielberg sticks close to Roald Dahl's story of an orphaned British girl named Sophie (Ruby Barnhill) who, up late one evening, spots from the orphanage window a huge figure prowling through the streets. He turns out to be a giant who calls himself the Big Friendly Giant (Mark Rylance) — or BFG, in Sophie's shorthand — and he whisks her away to his home in Giant Country. But while the vegetarian BFG means her no harm — and indeed, does his best to protect her — the other, flesh-eating giants like Fleshlumpeater (Jemaine Clement) are another, more dangerous matter entirely. There's something uniquely mean-spirited about picking on a child performance, yet it's hard to ignore that one of the main problems with The BFG is Barnhill. While Spielberg has been phenomenal throughout his career at casting and directing young actors, Barnhill brings a kind of generic, precocious pluckiness that may work better on the page than it does on a big screen, in a movie that seems to need a core of loneliness that sparks her friendship. Considering how much of the story she's required to carry, her work feels like something the film has to overcome, rather than something that adds to its charms. Its charms, however, are ample. The BFG's home is remarkable all on its own, glistening with the bottled dreams the BFG catches to distribute, and glowing with the cozy warmth of his fire. Spielberg builds wonderful visual jokes into the BFG's attempts to remain hidden from human view, and lends a magical quality to the existence of Giant Country as a world upside-down from our own. And when it's time for the story to sneak in its action bits — whether it's Sophie attempting to avoid the mean giants seeking her out in the BFG's home, or the climactic grand battle — there's no one you'd rather have choreographing those near misses than Steven Spielberg. Mostly, however, The BFG has Mark Rylance, whose performance here may be just as impressive in a different way as his Oscar-winning work last year in Spielberg's Bridge of Spies. The technical achievement of this motion-capture creation is certainly astonishing, and Mathison's script gives him plenty of Dahl's distinctive malapropisms to enliven his dialogue. But it's Rylance who gives the BFG soul, and a gentle spirit that makes his connection with Sophie feel completely genuine. The BFG and The BFG 3D are not showing in any theaters in the area.